Fun things to do in New York include strolling through Central Park, visiting the National September 11 Memorial & Museum, viewing the city from the Empire State Building and getting up close to the Statue of Liberty. Visitors can also visit a variety of museums and national landmarks. 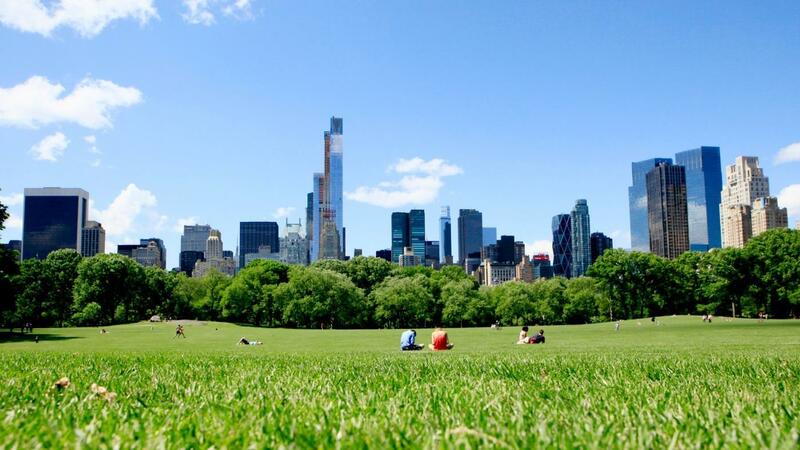 Tourists to New York City need to set aside some time for visiting the 843-acre Central Park. People can take one of the many walking paths through the park for plenty of natural beauty, go on a bike tour, or visit the Central Park Zoo. The Empire State Building also offers a spectacular prospect of the city, but from a high viewpoint. Patrons can take a multimedia-guided tour of the historic building. The Statue of Liberty is another major historic landmark as a symbol of freedom that every visitor needs to see. The National September 11 Memorial & Museum, though much newer than the other landmarks, remembers those killed on Sept. 11, 2001. Visitors also have fun visiting local shops and eateries such as those found along Bleecker and Commerce Streets. Recommended eating experiences include the Spotted Pig, a pub; Di Fara Pizza and cupcakes at the Magnolia Bakery. After filling up on good grub, visitors can then peruse priceless artwork at the Museum of Modern Art or indulge in exhibits from Radio City Music Hall. What Are the Top 10 Places to Visit in New York? What Fun Things to Do Are There While on a Layover at an Airport? What Are Some Fun Things to Do in Madison, Wisconsin?